Asbestos roof cleaning is fraught with potential issues. 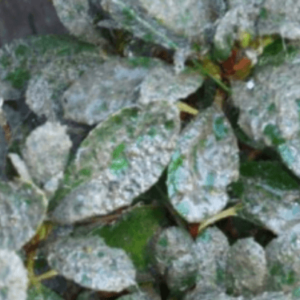 The asbestos fibres that disperse when disturbed by brushing or water blasting are dangerous and contaminate surrounding areas. This can seriously affect the health of family members and the community when the fibres become airborne. 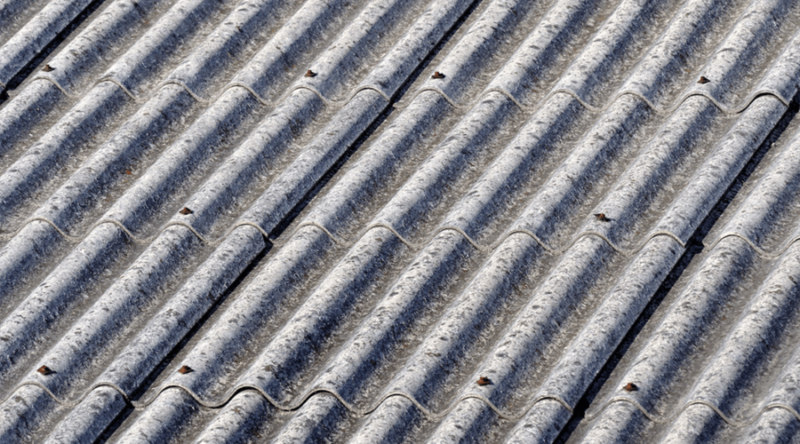 Here is a quick guide to help you deal with potential dangers of asbestos roof cleaning. Here is an informative article about eco friendly roof washing techniques. How does pressure-cleaning an asbestos roof threaten people’s health? 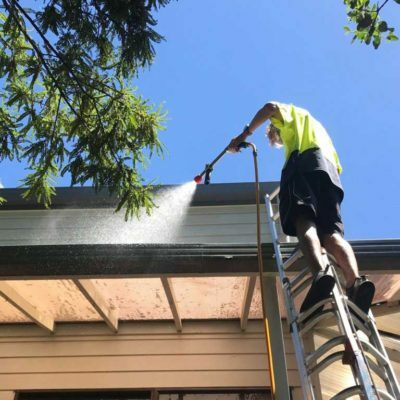 The top layer of asbestos will be stripped off when washing or cleaning an asbestos roof with a water blaster/pressure cleaner, creating a wet fibrous sludge. 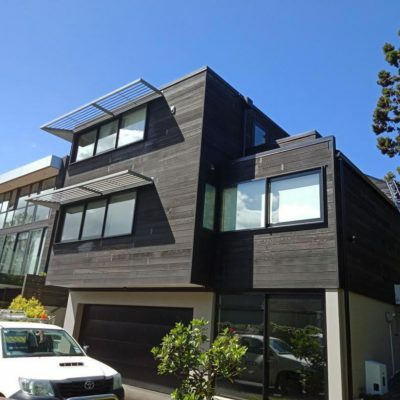 This sludge will then be sprayed up to 15 metres depending on the height of the roof being cleaned and wind conditions, off the roof and onto neighbouring properties. The fibres become friable (i.e., crumbly and easily airborne) after the roof clean is complete and the sludge dries. 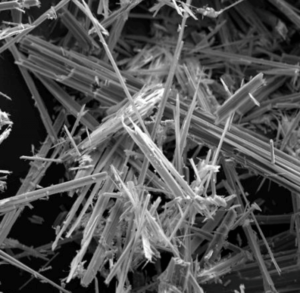 The asbestos becomes most hazardous as the fibres are picked up and blown around. You should firstly get good advice on the condition of the roof and the best method of cleaning before cleaning an asbestos roof. It could be time to replace the roof if it is deteriorating, and this will need to be approached carefully also. There are products that can be sprayed to adhere to the asbestos and stop asbestos from becoming airborne when dismantling a roof. The amounts of moss, mould, lichen, dirt and even other debris like pollen spores and tree and plant foliage will need to be considered when cleaning. Moss and mould cleaning treatment is particularly effective in asbestos roof cleaning The porous surface of an asbestos roof holds the treatment particularly well and the treatment works over time to clean the moss, mould and lichen on a roof and to incapacitate mould, allowing it to be cleaned off by the weather. 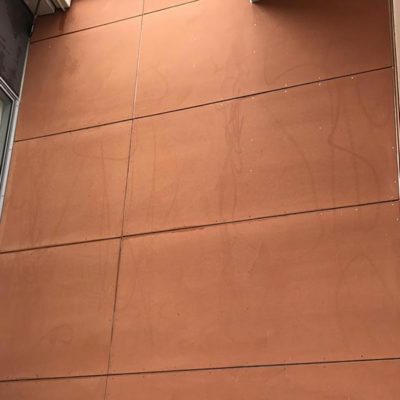 A strong soft wash/application of sodium hypochlorite can clean up less-established black mould quickly and effectively without disturbing the roof surface. Always seek advice from multiple sources to ensure you are doing the right thing when it comes to cleaning your asbestos roof. Remember to never clean an asbestos roof by pressure washing or scrubbing. The ensuing clean-up of the roof fibres can cost hundreds of thousands of dollars and can require multiple teams of experts. Both contractors and property owners can be held liable for the clean-up and damage. Get your roof cleaned today by starting with a free quote, contact us or learn more at the roof cleaning page.